The wheels mounted on your Toyota Corolla are so important but usually under appreciated. Without the wheels, you obviously wouldn’t be able to drive your Corolla anywhere. If one or more wheels gets damaged, you have a problem. Since it's pretty tough, if not impossible, to repair a damaged wheel, your best bet is to replace it with an OEM wheel. OEM wheels are the exact same wheels your Corolla came with from the factory, so they're guaranteed to be a perfect fit. Our prices on genuine Toyota parts are so low that you don't have to settle for cheap aftermarket wheels that won't match the rest of your set. 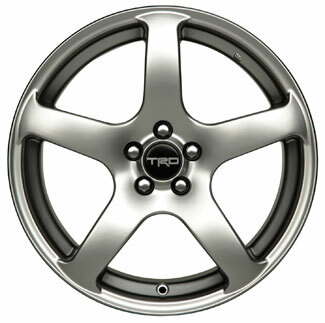 Cheap knock-off wheels never look quite right - we sell only genuine Toyota wheels. Shop online now for all the Corolla wheels and parts you need!